Agreements are used in a lot of business transactions, regardless of the nature, field of work or industry they belong to. It is very very useful in long term businesses to ensure that all of the parties involved in the agreement adhere and oblige to the terms and conditions that they had agreed on. Real estate business partnership are one of those long-term business that need an agreement in place. Here, we will define what it is, its uses, the types of agreement and many more. 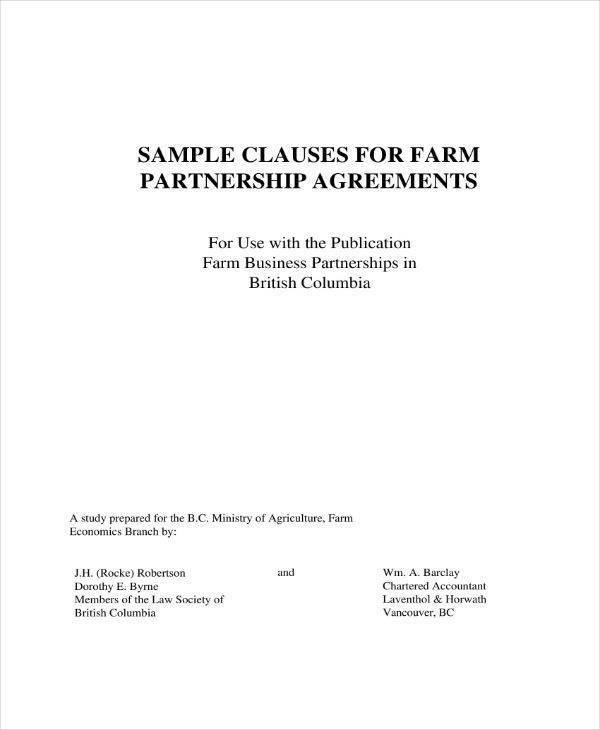 We have also included downloadable agreement templates that you can use as reference. Check them out below. 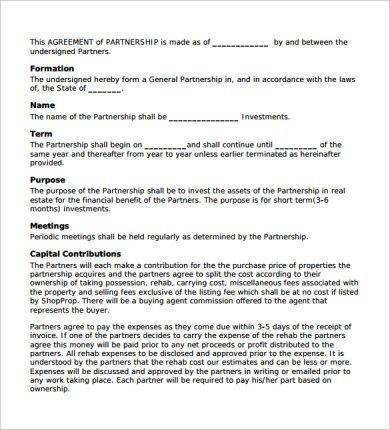 What Is a Real Estate Business Partnership Agreement? When real estate businesses who has been around for some time consider having an investor partner into their business venture, then they form an agreement called real estate business agreement. The benefit of being in a real estate business partnership agreement is the pooling of the resources and capital of all the parties involved in the agreement, as well dividing or splitting business costs and expenses to be able to pursue real estate opportunities. 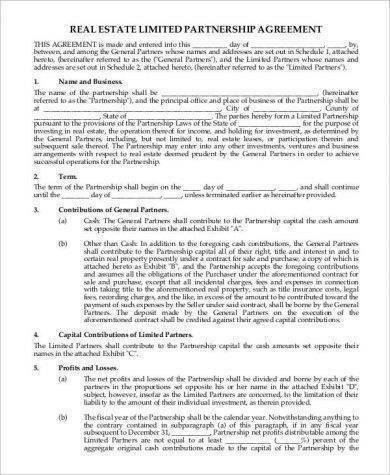 It clearly lays out and provides details about the responsibilities and rights of each of the parties involved or each of the members of the partnership. This prevents confusion and vagueness at the beginning of the partnership so that disputes and issues can be guided to the best course of action. 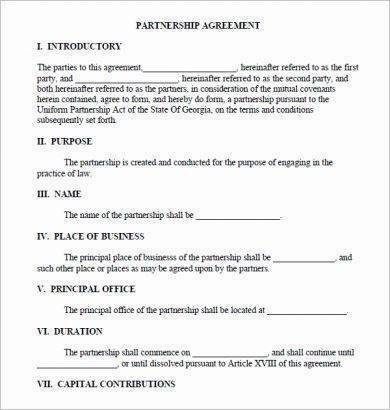 The agreement legally binds and obligates all the members of the partnership to the provisions of the agreement. 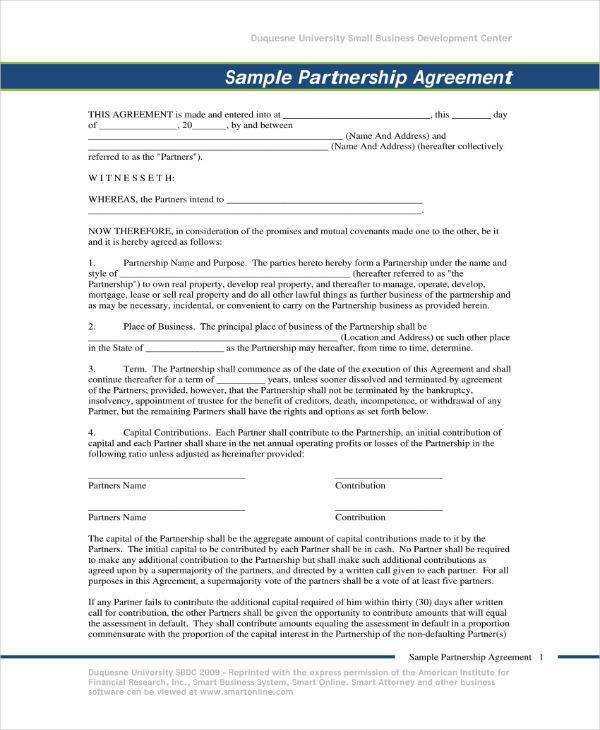 Members of the partnership consult their own copies of the agreement to tell which things they are allowed to do and not allowed to do for the entire duration of the partnership agreement. 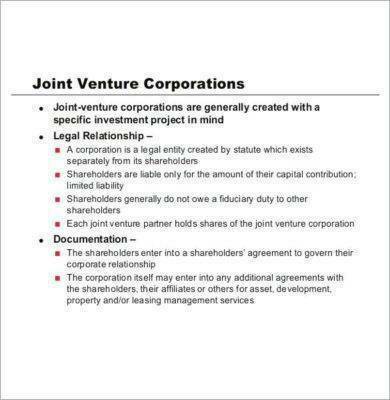 The agreement provides details of what will happen if any member violates the terms and conditions or if they fail to do their share of responsibilities. It is used in ironing out the financial considerations in a real estate business partnership. Other related topics you may want to check out on our website are Sample Apartment Rental Agreement Template, Agreement Termination Letter Samples and Templates, and Indemnity Agreement Samples and Templates. There are basically two types of agreements being used today and they are verbal agreements and written agreements. Let us take a closer look at each of these agreements below. Verbal agreements are common in informal transactions or conversations with friends, acquaintances and family, often seen as promises. There are no documents or evidence produced in this type of agreement. There is only the commitment of each party who agreed to it. For example, you and your friends decided to watch a movie on a Friday night. Since you agreed to it, then you must commit to it. However, if you don’t show up or have an excuse for it you will need to liable for anything. Verbal agreements are also legal agreements depending on the transaction. For the sale of something with value using verbal agreements, if you do not do your part in the transaction, then you may need to face legal consequences for the violation you made. A written agreements on the other hand is the exact opposite of a verbal agreement. In a written agreement, the provisions are recorded in a document where the involved parties write their names and affix their signatures. 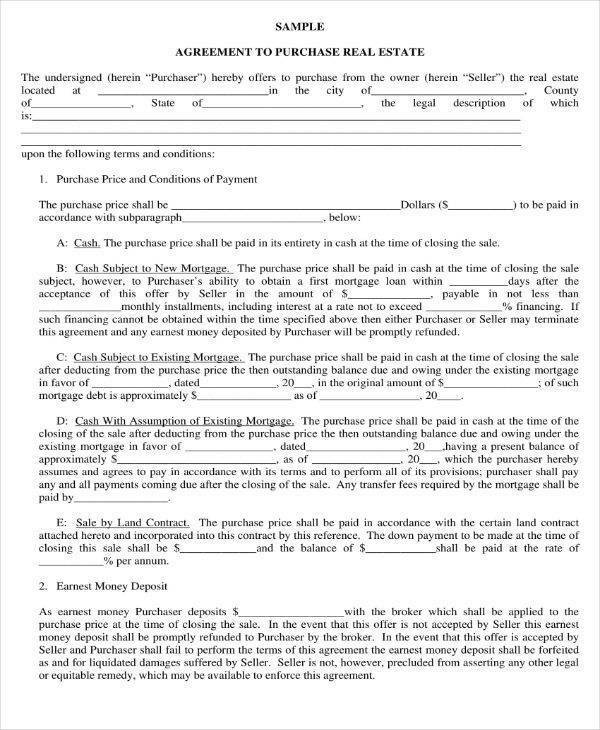 This document then serves as proof of the transaction and everything that has been discussed and agreed on. This type is preferred over verbal agreements because it provides details of the transaction that neither party can deny. Written agreements are very useful in court proceedings and other legal matters as evidence or proof of an argument. It is also very useful when it comes to long-term agreements where the parties can review the terms and conditions, as well as their duties and responsibilities while the agreement is in effect. Both types of agreements are legally acceptable and useful depending on the type of agreement that you will be dealing with. But the most preferred type of agreement are written agreements as they provide a proof of the transaction and are very advantageous when it comes to long-term agreements. You may want to check out related articles, like Sample Room Rental Agreement Templates, Joint Marketing Agreement Samples and Template, and OEM Distribution and License Agreement Samples & Templates. 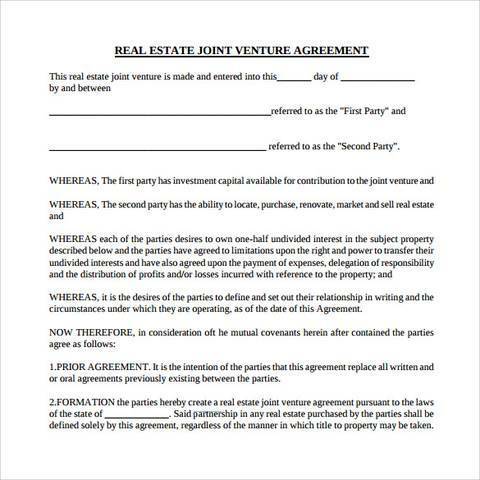 What Are the Key Elements of a Real Estate Business Partnership Agreement? 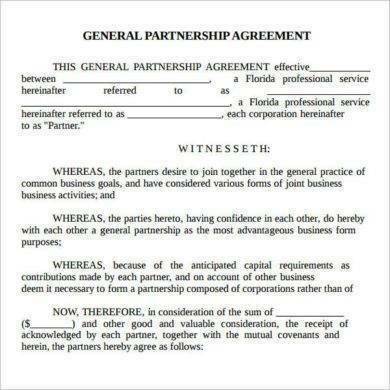 There are 4 elements of a business partnership agreement and they are roles and responsibilities, financials, commitment and protection. 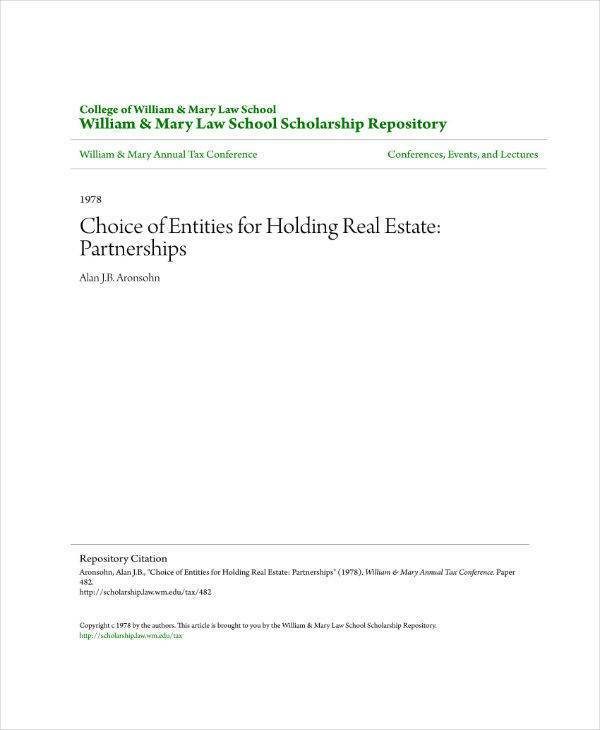 It is a must in any real estate business partnership agreement to have clearly define roles and responsibilities of each of the members or business partners. Realistic roles must be assigned to each individual and their responsibilities within the partnership should be clearly defined. The roles of each member or partner should also be delegated according to their level of competency with respect to the tasks at hand. It will lay the foundation for a prosperous career in the real estate business industry. The financial situation and the financial considerations of a company or organization must be ironed out before moving forward with the partnership. The financial situation of the partnership must be clarified before moving forward with the business. Understanding and clarifying the financial situations of the business includes a discussion on who is going to make the lion’s share of the profit, how will the be split among each member, etc. Each of the members or partners in the business must feel comfortable with the amount of time that each of them will be expected to invest. They should be comfortable with the each others intended schedule. It is best to have protection when you need than not have it at all. Things can happen no matter how secure you think your business is. There is still the possibility that things may go wrong and you have to protect yourself from that possibility. There are indeed a lot of things that you can learn about real estate business partnership agreements and agreements in general. You may also want to check out other useful topics, like Marketing Agreement Samples and Templates, Terms of Service Agreement Samples & Templates, and Enterprise Agreement Samples and Templates.